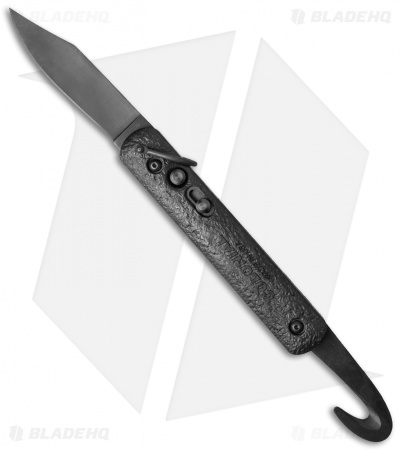 This Automatic Rescue Knife by Colonial Knife Company now features a useful strap cutter hook. 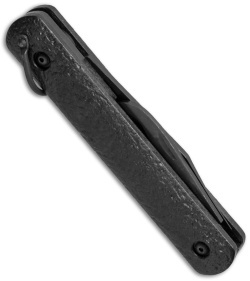 The Colonial 728B has a fully automatic blade made from 1095 HC steel in a black finish. 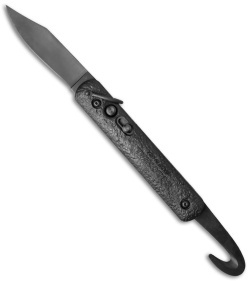 It was designed for use in emergency survival situations. The hook strap cutter opens manually on one side and the knife blade opens automatically on the other side. There is a push button on the handle to activate the blade as well as a sliding safety lock. This model also has a stainless steel bail loop. Inspired by the current Military issue paratrooper jump knife, the Colonial 728B is the perfect tool for any emergency.